To simply define this laptop, Acer Aspire E5-575-33BM is a budget laptop built for seamless performance. Note that I use the word seamless, which is a relative term. For a gamer, the seamless experience would be getting 60 frames per second at ultra high graphics. For a designer, a seamless experience would be working with high-resolution pictures without any lag. Similarly, for a beginner programmer, a seamless experience would be lag free coding experience. Although beginner coding does not require a lot of processing power, the hardware in this laptop is the bare minimum that you should settle for. Other than programmers, Acer Aspire E5-575-33BM is an extraordinary laptop for casual work. 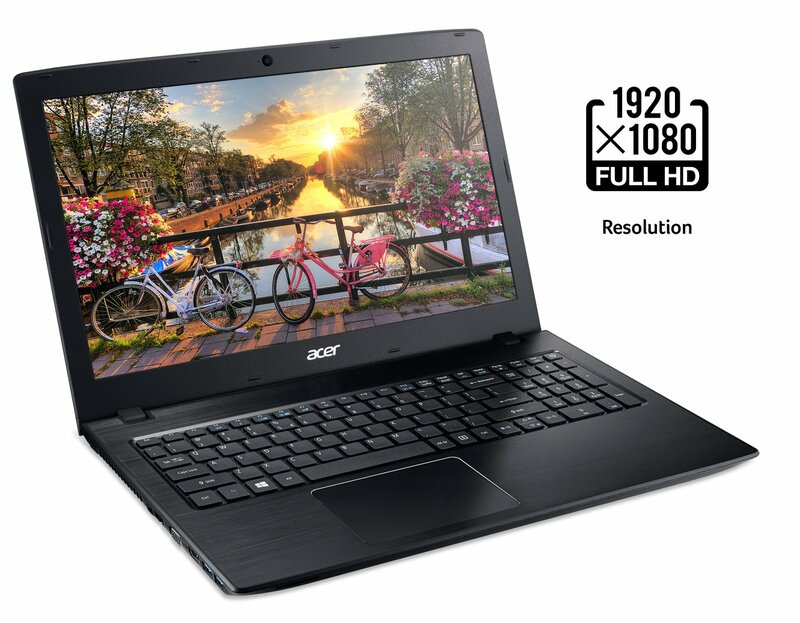 It does offer an Intel Core i3 processor; however, it is by no means an entry level laptop. That title is reserved by laptops featuring Intel Pentium or Celeron processors. It is also worth nothing that this laptop offers the latest gen hardware. From the processor to the port configuration, everything is latest. Let us explore this laptop further in this Acer Aspire E5-575-33BM review. The laptop has the bare minimum hardware needed for seamless work experience. Full HD display means that you get a decent real estate to work on. This common in high-end laptops, but to find on an ultra budget laptop is a much welcome feature. Offers all the current gen hardware for future compatibility. Offers a long 12 hours of battery life. The laptops is thicker than most laptops in this price category. The hardware on this laptop is not unique; however, it is available at perhaps the best value in the market. You will not find latest gen hardware at such a low price point. In terms of performance, the laptop is suitable for most tasks at a low level. The thing is, there are cheaper laptops available; however, those laptops show lag even with lightest use. An i3 processor is a minimum you should aim for if you are remotely going to work. Coming to the processor, the 2.4 GHz Intel Core i3-7100U is the not the normal i3 processor that you would expect on a desktop. It is, in fact, slower than the Intel Core i3s that you find on desktops. Why? Because, unlike with desktops, laptops need to take into consideration the battery life and heat dissipation. Therefore, this processor is to be efficient for a mobile device like the laptops. Note that this is a ‘U’ designated processor. This refers to the low power series of processors. They not only run cooler but also promise a much longer battery span. The Core i3 processor is a 7th gen processor meaning it hails from the latest series. These are marginally better than the previous gen i3 processors. The Intel Core i3-7100U does offer an integrated graphic card – the Intel HD 620. This, of course, is not a dedicated graphic card. Meaning, it puts the graphics processing burden right on the system collectively as it does not have its dedicated RAM. Furthermore, the fact that this laptop comes with only 4 GB of RAM, the burden of running graphic intensive tasks will be quite taxing on the overall system. Yes, you can enjoy Minecraft and DOTA 2 or other MMORPGs online at low graphics and low FPS, but you should not expect anything more or you will find yourself quite disappointed. Do not expect to play AAA title on this laptop. Since this laptop is a bare minimum work laptop, it offers the least amount of RAM that you should settle for. It offers 4 GB of RAM. The only good thing about the RAM is that it is DDR 4. It is great to see DDR 4 finally coming into ultra-budget laptops like this Acer Aspire E5-575-33BM. The screen on this laptop is 15.6″ FHD. The Full HD screen means you can multitask easily. It is a most welcome feature for professionals out there. The larger the resolution, the more windows you can fit side by side comfortably. There are a few drawback to Acer Aspire E5-575-33BM , the first of which is that this laptop does not feature a backlit keyboard. Although not entirely necessary, it is quite an attractive feature for someone like me who likes to work in dark rooms. But hey, what more can you expect from a laptop that is less than some hundred bucks. Coming to the profile of this laptop. It is neither the lightest nor the slimmest in the price category. In fact, this is the only possible drawback to note down. The laptop measures a 1.2 inches in thickness. The average thickness for laptops in the market is about 1 inch. What ASUS V551LA-DH51T promises is a one of a kind hardware. You see budget laptops that are below some hundred bucks price point do not offer powerful current gen hardware. That is where this laptop differs. Not only does this laptop offers the latest Core i3 processor, but it also offers USB C port and DDR 4 RAM. On top of that, you are getting a hardware that is most suited for carrying out professional work. 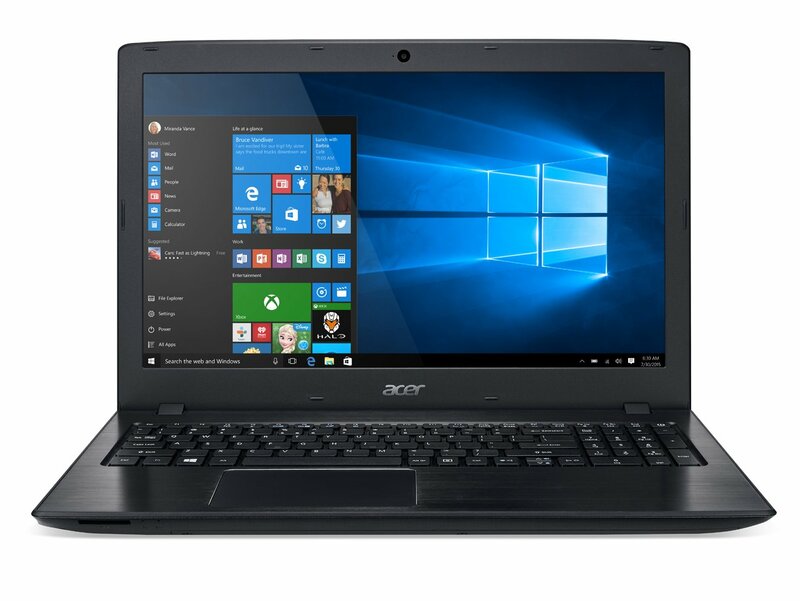 I hope by now you can see in this Acer Aspire E5-575-33BM review that this is one of the best budget laptops available in the market. The performance/dollar value of this laptop is unmatched, and therefore, it is very tough to highlight any potential competition to it. It offers the latest hardware at a very cheap price tag. In terms of performance, this laptop is suitable for beginner programmers or for general usage.